​Mobile Surveys. Create. Engage. Deploy. Collect. You use your SurveyGold application to invite colleagues to be part of your network. Your field surveyors install the free SurveyGold Mobile application. 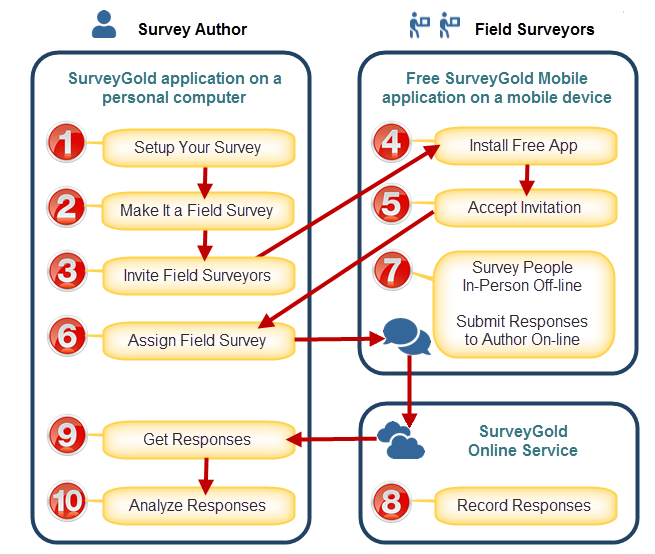 You assign field surveys to field surveyors via your SurveyGold application. Your field surveyors can collect responses offline and submit them back to you whenver they come back online.